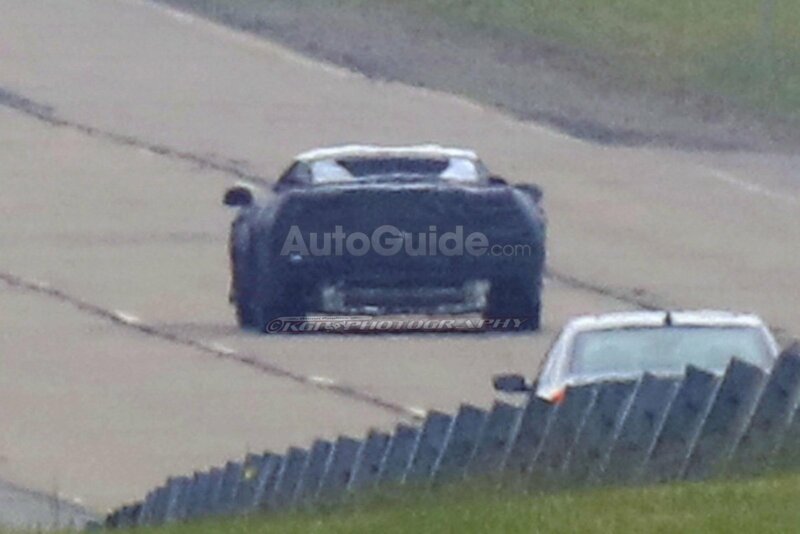 Mid-Engine 2019 Corvette Spied Testing in the Daylight - MacMulkin Corvette - 2nd Largest Corvette Dealer in the World! 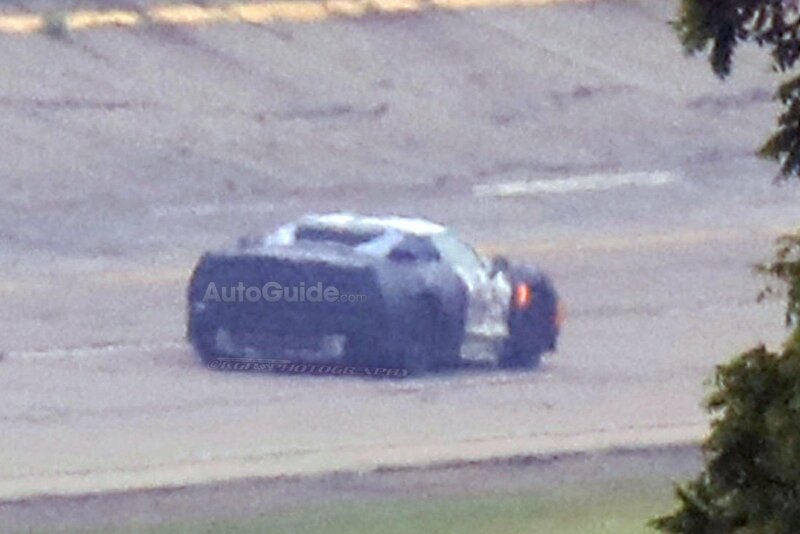 A mid-engine Corvette prototype has just been spied out testing in the daylight at the Milford Proving Grounds in Michigan. 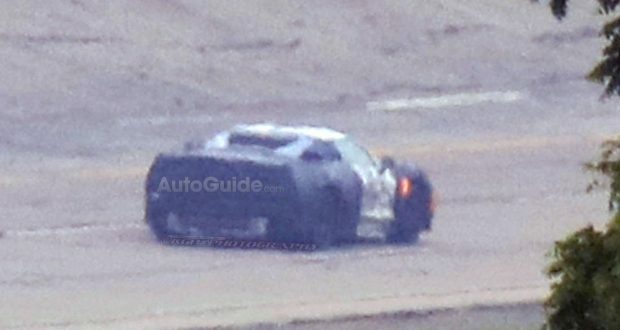 All of the testing of the rumored mid-engined Corvette has been done at night in order to keep prying eyes away. Unfortunately, the pictures were taken from a mile away using a long-range lens and a 50.3 megapixel DSLR camera. Although grainy in quality, the pictures do reveal a lower roofline than the C7 and buttresses out back. 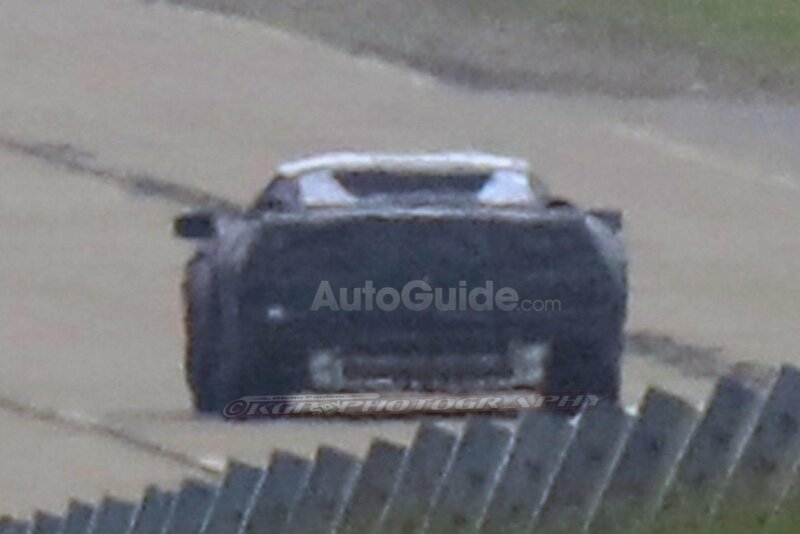 Some sources have suggested that the pictures show an open section above the mid-mounted engine and may be indicative of a glass cover over the engine bay. Previous reports have suggested the car will have a pushrod V8 engine that produces between 450 and 500 horsepower and will accompany an all-new V8 engine which could have four cams and 32 valves. 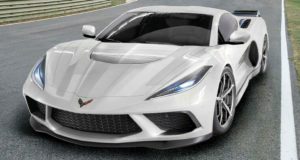 The article from AutoGuide states that GM targeting the $400,000 Ford GT and that the mid-engined Corvette will be priced right at that price point. We find that very hard to believe. While it’s not out of the question that the car could be the most expensive Corvette ever built to date, we expect prices to be between $150,000 to $200,000. 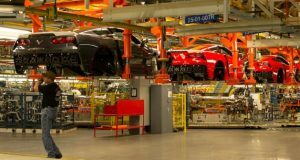 The C8 Corvette is expected to be introduced at the 2018 North American International Auto Show as a 2019 model. Next: National Corvette Day Today! 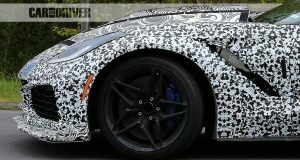 2018 Corvette ZR1 Shows Off New Wheels and Some Flames at the Nurburgring!